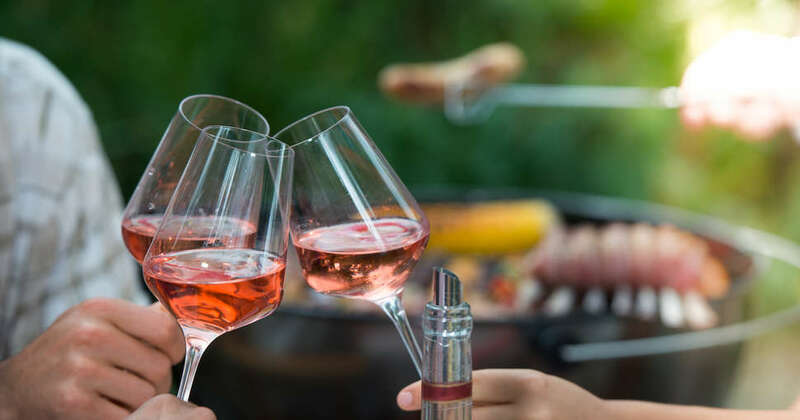 The partial government shutdown has been dragging on for more than a month and, as you may have heard, it’s had catastrophic effects on federal workers, the American food supply, craft beer and, now, rosé. Due to the shutdown, the Alcohol and Tobacco Tax and Trade Bureau (TTB) has been shuttered, meaning label approvals for beverage producers like wineries are on indefinite hold. As a result of the TTB shuttering, new wine (along with beer and liquor) releases are at a standstill, according to a report from Wine Spectator. This could throw a major wrench in your summer plans, provided they include sipping pink wine poolside. With no TTB employees on hand to deal with wine vendors, submissions can’t be reviewed. There is some good news, however. This doesn’t mean there won’t be any rosé on hand when summer finally does come around. Only new wines will be affected, so you’ll still be able to purchase your favorite existing rosé to sip at your leisure as they’ve already undergone TTB’s Certificate of Label Approval (COLA) process. The process typically takes roughly 11 days, but that’s when the government is up and functioning as intended (or, you know, as well as it can function with a chaotic White House). Forward-thinking wineries that submitted new labels well ahead of the shutdown won’t be affected and will have their new releases ready for summer. Those vineyards that didn’t plan ahead and submit new labels or updated products, can’t bottle or ship them out so long as the TTB remains closed. As a result, wineries are facing delays and money loss. With the president, who’s proudly proclaimed that he’s never had a sip of alcohol in his life (weird flex, but OK? ), showing no real interest in reopening the government until he secures funding for his border wall, “wine, beer and spirits groups,” have reportedly begun meeting with Congress to have their voices heard. It’s unclear where on Congress’ priority list this will fall, though, so we suggest stocking up on old favorites in the meantime. It may be a while before you get a taste of any new wines, but absence makes the heart grow fonder, right? Savor every sip while you can and, uh, call your elected officials in Congress.